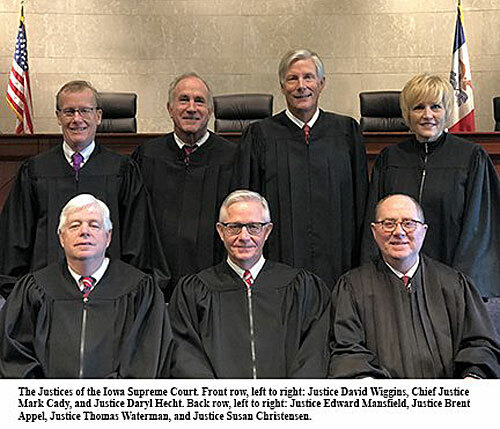 The Iowa Supreme Court heard oral arguments Wednesday from two public-sector unions that are challenging a 2017 law that limits collective bargaining rights. The law bars most public unions in the state from negotiating things like health insurance and overtime in employment contracts. But it doesn’t apply to unions made up of at least 30 percent public safety workers. Lawyer Mark Hedberg, representing AFSCME Iowa Council 61, says the law is unconstitutional because it gives some public safety workers fewer collective bargaining rights than others. “Campus police are excluded. They do the identical work of any other police force in the state of Iowa,” Hedberg says. The attorney representing the state, Matt McDermott, says lawmakers had legitimate reasons for the differing policy. “They were trying to limit the number of people that would be subject to these enhanced bargaining rights,” McDermott says. He says that would ensure that some police would still be working if others went on strike. The Iowa Supreme Court heard the arguments and will issue a ruling at a later date.